Looking at building that dream home or maybe a set of Duplex or more? Latimer Building Concepts can make your dream come true. We design and construct Contemporary, Coastal / Beach style / Hamptons, or standard 3-bed brick veneer homes for the budget conscious that also include that bit of flair unique to you that sets you apart from the rest. We only use local licensed tradesman and subcontractors who work quietly, efficiently, and with the utmost professionalism. Trent and his team will walk you through the process stage by stage, helping you with every detail of your home. With Trent’s 20-years working on the Gold Coast, you have the benefit of his local area supplier relationships, making it much easier for you to make all the important choices. 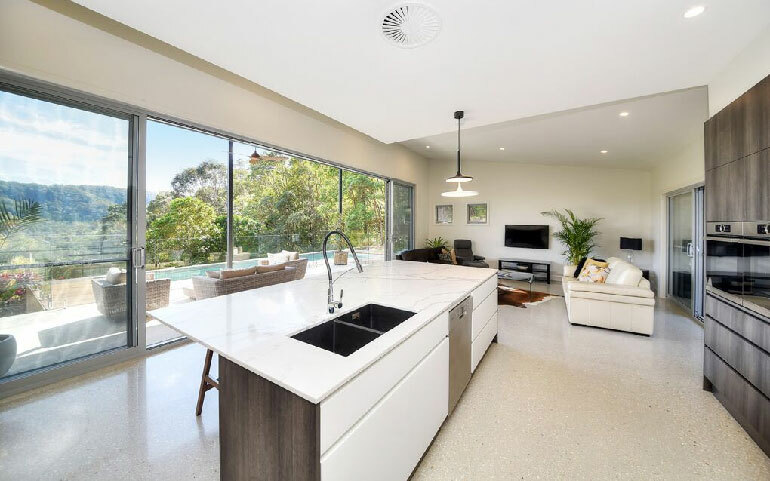 When designing your home we take into consideration all of the relevant coastal conditions, including coastal winds and Queensland’s renowned sun; we know how to make these work for you most efficiently to cool or warm your home. And if you want a pool, we can do that too! Our local pool builder has been on the Coast for 30 years and knows what is required to get things done quickly, efficiently and on budget. While working with us, regular site visits will be scheduled to show you progress. We will use cutting edge software to communicate daily updates and photos to share with your family and friends and to communicate any changes that you want to make along the way.